Being a Mom is challenging, but rewarding. Working full-time is necessary, and carries some definite benefits, but huge time demands. Having a chronically ill child is trying on the nerves. Worry and doctors appointments compete against waiting and absorb the bulk of any free minute. Having a chronic illness, a rare genetic disorder like Cowden’s Syndrome yourself – well, it creates some challenges. And that is putting it nicely. But, to combine all of the above… well I can tell you I wouldn’t trade any of them – but I am exhausted. I spoke this week with a friend from work. Her son is chronically ill, but was suffering an acute episode one afternoon. This week Meghan felt fine. So, I had the opportunity to spend a short amount of time empathizing. While I was unhappy that he child was ill, I was in awe of her poise as she anxiously awaited news of her son’s condition in NJ. I think my heart was in my throat – yet my admiration for her composure under pressure could not be stated. I am sure I am not the only one exhausted. I know I am not the only one contending with these issues. And, even if they were different – dare I say I almost felt normal – listening to others for a change? My perspective is usually pretty good. I work hard to put myself in other people’s shoes. I talk a LOT with Meghan, about various social situations, and try to help her see that her point of view is never the only one. We have most of our best conversations in the car. Tonight as we headed home from my in-laws I could no longer escape the conversation about the horrors of the Boston Marathon. I had shielded her for a few days because I truly just couldn’t gather my words. So, tonight as I explained what the bad people had done, and I answered her questions, she was, as the rest of the nation was, absolutely appalled. And I spared her MOST of the details. She wanted to know why people have to suffer. And she wasn’t talking about herself. She was talking about these victims, as well as other people – children and adults, with cancer, or other major struggles. There was no right answer. So I gave her the best one I could. We have things in our lives to deal with – all of us. I don’t believe God picks us out to suffer. There is evil in this world. But I do believe, that we are given the strength to handle our struggles if only we ask. And, we are given the tools to use our struggles to make a difference in the world. So she asked why people do evil things. Again – no right answer. So, I gave it my best. I explained that there are evil, awful people in this world, and she will encounter them at certain points in her life. But the beauty of it is, that for every evil person, there are probably hundreds, or thousands of good people. Those are the people we seek out in our lives. Those are the people we center our worlds around. People are not inherently bad. 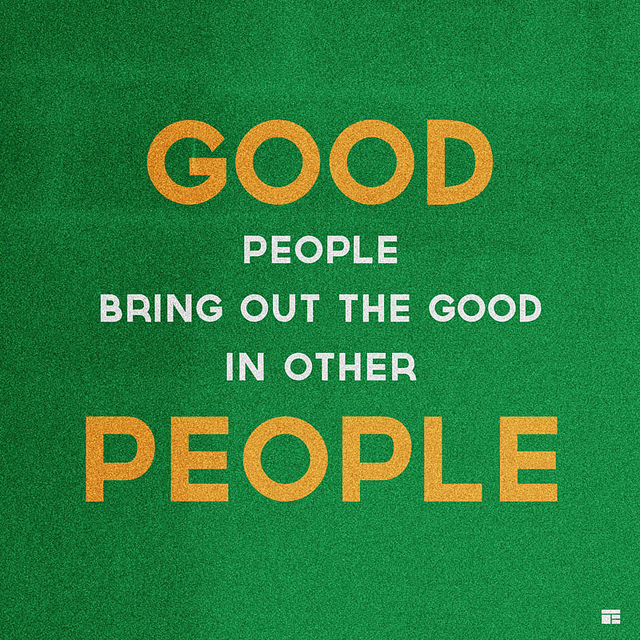 Most people are downright good. And I reminded her of the stories I have told of the heroes of 9/11. And then I told her about he heroes in Boston. I told her of the resolve of the police and all emergency personnel that REFUSED to give up until their people were safe. I explained how they put their lives on the line every time they rang a bell or even took a few steps. Yet, they would NOT stop. They shut down a city and they made it happen. They worked together, and they arrested their suspect. These are the good people. 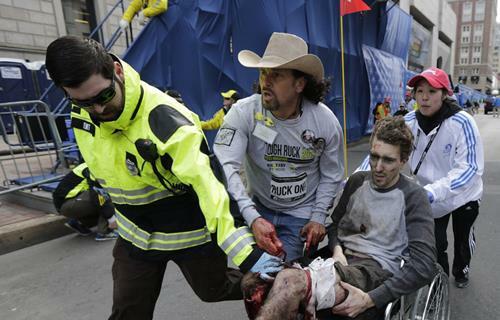 And then there were the ones, who helped the injured at the marathon. Civilians and emergency workers alike. They ran in to give a hand because people were in need. This world is not full of evil people. It is full of good people who so often stand together intolerant of evil and focused on human decency. 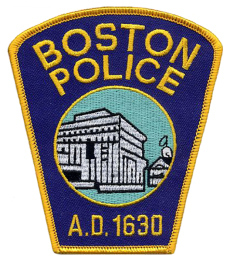 God Bless the Boston PD, and all the emergency workers, and all the brave citizens. We stand with you. We thank you. for reminding us that there are so many good people in the world. Next Who is in charge?